The doctrine of election is one of the most difficult in all of Christian theology. It is also one of the most prominent doctrines, for the election of Israel, Christ, and the church is a theme that runs through the Scriptures. Yet, notes James Daane, election is rarely preached from the pulpit. In The Freedom of God Daane offers an explanation for this curious silence, presents a corrective to the scholasticism that has infected Reformed theology, and argues that the doctrine of election is in fact preached whenever Christ is faithfully proclaimed. 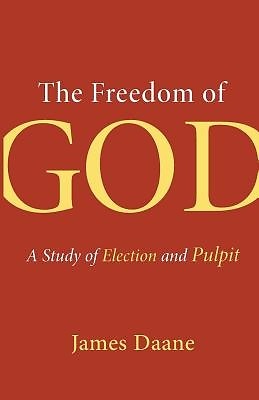 Interacting with such major Reformed theologians as Bavinck, Hoeksema, VanTil, and others, Daane here offers a clear, biblically based, truly Reformed understanding of the crucial significance of election in relation to preaching.